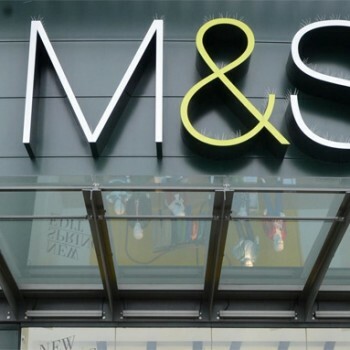 Marks & Spencer has added a range of new wines, cocktails and beers for summer, beefing up its fine wine segment and adding new producers from Chile, Argentina and North East Spain. The BWS team has also added wines from New Zealand and Australia, boosted its still and sparkling English wine range, and added to its “everyday” global wine range, ‘Craft 3’. Last month M&S unveiled its new 32-strong en primeur Bordeaux selection from the 2014 vintage, which was selected by wine buyer Emma Dawson MW along with M&S’s fine wine partners, négociant houses Maison Sichel and JP Moueix. Dawson has added to the fine wine range with a selection of small parcels of new vintages for summer, including wines from New Zealand, Australia and Lioco Sonoma Chardonnay’s to represent the new wave wines from California. “The aim has been to develop a range that truly inspires our fine wine customer, offering them both diverse choice and value at that level,” Dawson said. Other highlights from the summer collection include seven new wines from Chile and Argentina, including a new Chilean brand Costa Fresca which developed for M&S exclusively with Casa Marin. This comprises a Sauvignon Blanc from San Antonio (RRP: £9.00) and a Pinot Noir from Casablanca, and an Argentine Malbec, Eggo Malbec, from Gualtallary-based producer Zorzal. Finally it has added a Vaglio Malbec Vista Flores 2016 (RRP: £12.00), and Vaglio Rose 2016 (RRP: £10.00) from Jose Lovaglio, the son of Argentinian winemaker Susana Balbo, who is based in the Uco Valley. Winemaker Jenever Williams described the rose – a 40% Malbec, 25% Pinot Noir, 20% Cabernet Sauvignon, 13% Syrah, and 2% Torrontes blend – as a “unique blend” that showed “new ways of working with Malbec and Torrontes”. Four wines have been added from New Zealand – including an entry level Sauvignon Blanc in the Koha range (RRP: £8.50), a more premium “brisk” Koha Fantail Sauvignon Blanc (RRP: £10.00), and a Seifried Grüner Veltliner (RRP: £11.00), and four from Australia. Winemaker Belinda Kleinig explained that the team had concentrated on some of the most established wine areas in Australia “where the history of wine production is allowing winemakers to really understand the strengths of their regions”. This includes a new Hunter Valley Semillon from Tyrrels of Hunter Valley (RRP: £13.00) to its core range, to pair ith the existing Chardonnay and Shiraz, as well as an exclusive food-friendly Barossa Viognier from Yalumba (RRP: RRP: £10.00), and a new McLaren Vale Shiraz from Wirra Wirra (RRP: £13.00). It has also extended its ‘Craft 3’ range of “everyday” New World wines (RRP: £10.00 – £13.00) to include a new Marlborough Pinot Noir, a subtly oaked Adelaide Hills Chardonnay, and a Chilean Cabernet Sauvignon from producer De Martino in Isla de Maipo. These will sit alongside the existing Argentinian Malbec, South African Chenin Blanc, Californian Zinfandel, and original Marlborough Sauvignon Blanc. It has also brought in wines from DO Emporda in Northeastern Catalonia, including a red Empordalia Joven, Sinols Negre 2016 (RRP: £11.00), from an association of cooperatives that was formed in 2015 to increase the quality and promotion of wines from the region. Other northern Spanish wines new to the range include a Galicia Ribeiro DO from Val de Souto (RRP: £12.00), an exclusive Treixadura, Godello and Loureriro blend from a small independent grower-winery (colleirerios), and a moder style white Rioja, Tierras del Isasa 2016 (RRP: £11.00) from Bodegas Ontanon in Rioja Baja. “This regional selection elevates the work from previous years on our English wine range, and now we have 19 counties represented,” BWS trading manager Suzanne Webb said.